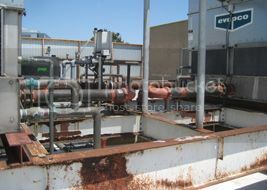 Corrosion adversely affects any industry that utilizes large amounts of steel and other metals. The oil and gas industry, highway infrastructure, industrial equipment all invest heavily in finding ways to prevent corrosion. The battle with corrosion is certainly never-ending, but Texas A&M University has raised the bar in its efforts to understand and combat the issue. The Board of Regents has recently approved the establishment of the National Corrosion Center (NCC) in the Texas A&M Engineering Experiment Station (TEES). NCC will focus on corrosion research and technologies that will add to the university’s developing, multidisciplinary programs in material science and engineering. Metal corrosion is an extremely costly issue: According to the Federal Highway Administration its costs approach $276 billion-a-year in the United States. The good news is that implementing sound engineering practices could slash that cost by 30 percent. That’s where the new Corrosion Center comes in. While Rice University has been working on the problem, this will be the largest and most extensive effort within the State of Texas to explore the issues of corrosion. According to Dr. M. Katherine Banks, TEES director and vice chancellor and dean of engineering at Texas A&M, there is a clear need for more extensive work and cooperative efforts within the State. There is no question that the center will “harness the technical and academic strengths of the A&M System and Rice University, the training and workforce development capability of Houston Community College, and the technology and financial resources of Houston’s industrial base,” officials said. It is anticipated that the NCC will become an internationally recognized corrosion center making Texas a key player in educating and training the next generation of corrosion experts to create anti-corrosive machinery or deck and floor coatings. The Executive Director will be Dr. S. Ray Taylor, a metallurgist scientist with TEES. As industrial painting contractors or as business owners, better corrosion control coatings come as good news. How has corrosion impacted your business?